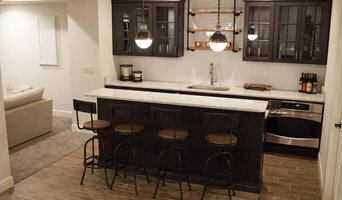 Cincinnati full service kitchen & bath remodeling from innovative design to detailed installation conveniently offers a wide selection of cabinets, appliances, flooring, counter tops, and hardware in two large showrooms: Loveland and Mariemont/Columbia Township. Growing up in the family hardware and appliance business, Howard's Kitchen Studio owner Mark Kaplan has been involved in home improvement his entire life. He helped customers select the right appliances and plumbing choices while working in the business during high school and college. He also gained experience working with the contractors and understanding what products worked best for their jobs...and most importantly, learned the value of good customer relations. After college, Mark joined his father, Howard and mother Helen, using his business education to expand the company into kitchen remodeling. 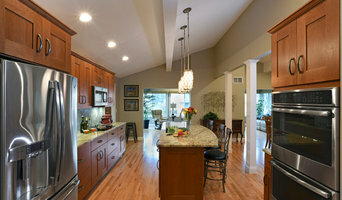 Over the years, as the kitchen remodeling business grew and grew, Mark opened a separate showroom just for kitchen remodeling - Howard's Kitchen Studio (named in honor of his father). What does a Clayton kitchen and bath remodeling expert do? 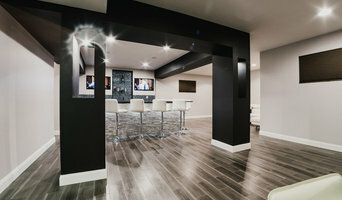 Licensed Ohio kitchen and bath remodelers are contractors who specialize in altering the structure of an existing space, rather than building one from the ground up. Because he or she must deal with a previous builder’s work, the job can get more complicated than new construction. You might wonder why they often specialize in both kitchens and bathrooms, but if you think about those two spaces, they actually have a lot in common. Kitchens and bathrooms include an abundance of fixtures that require careful planning and installation, including sinks, faucets, tubs and toilets that all need water hookups and drainage. They also use similar materials, such as tile and stone for countertops and flooring, due to the nature of their use. So it makes sense that Clayton kitchen remodelers and bathroom remodelers be one in the same. A bathroom or kitchen remodeler translates architectural plans from page to reality; some are also trained to provide design services so that you don’t have to hire a separate pro. 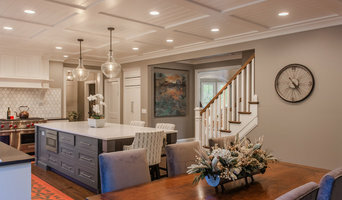 Like a general contractor, a kitchen and bathroom remodeler in Clayton, OH is responsible for hiring and supervising subcontractors and providing materials when necessary. They also should have a thorough knowledge of Ohio building codes and construction-related legal issues, as well as current design and product trends. Here are some related professionals and vendors to complement the work of kitchen & bath remodelers: Woodworkers & Carpenters, Kitchen & Bath Designers, Interior Designers & Decorators, Architects & Building Designers, General Contractors. 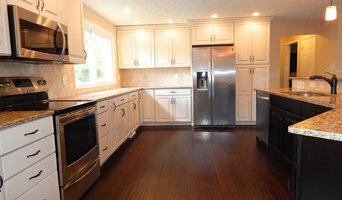 Find a Clayton kitchen and bathroom renovator on Houzz. Narrow your search in the Professionals section of the website to kitchen and bathroom remodelers in Clayton, OH. You may also look through photos of Clayton, OH spaces to find kitchens or bathrooms you like, then contact the bathroom or kitchen remodeler who worked on it.